Trick-or-Treat pumpkin lovers. Say ‘Hello’ to the Jack O’ Lantern of muffins. This delightful autumn flavored cake makes dead-leaves look merry with its brilliant flavor and nostalgic fall-provoking scent. 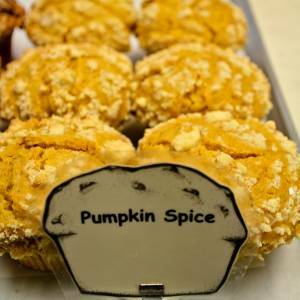 Also good for rainy days during summer: pumpkin spice to cope when there’s no hope for sun. That’s the motto!